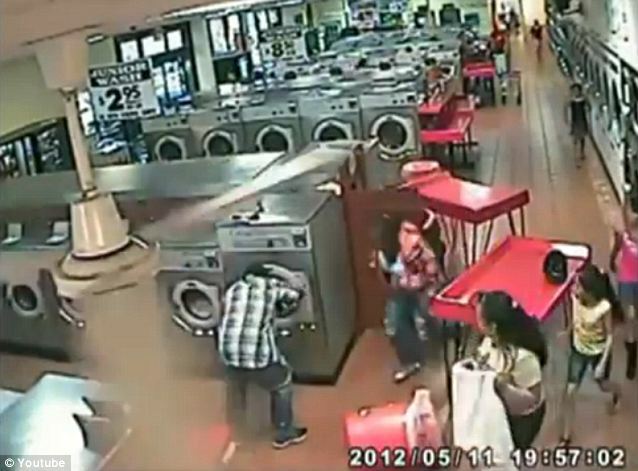 This is the dramatic moment a foolish couple decided it would be a good idea to freak out their child by putting him in a washing machine. 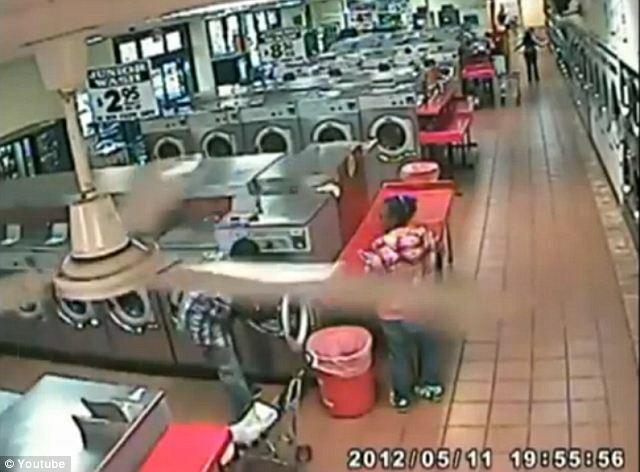 It starts off like any average scene at a Laundromat, with a few clusters of people sorting out their laundry into machines. A sign in the left hand corner of the frame reads ‘Junior wash $2.95’. But it was not supposed to be taken quite so literally. The couple, at the second bank of machines with a pram sitting behind them, are busy loading up their laundry into the drum. 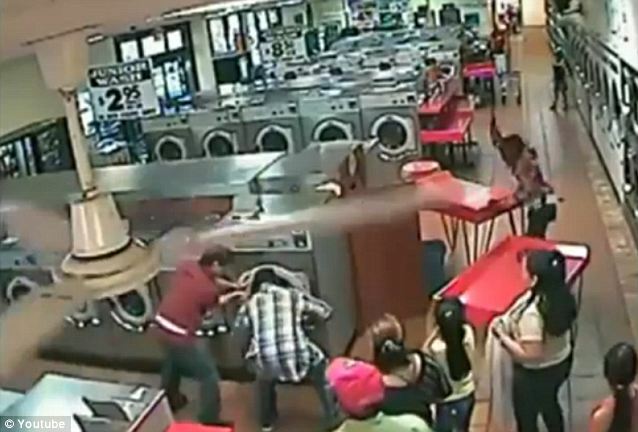 As the woman, wearing a red and pink checked jacket, sorts through laundry on a table, the man, wearing a blue checked shirt, lifts the small boy and shoves him into the machine, closing the door. An auto-lock on the door causes their prank to backfire majorly and as their epic fail dawns on them the couple frantically tug at the machine’s door in a desperate bid to free their child. What appears to be a maintenance man strolls over looking at the couple as their panic intensifies, before wandering off again, waving a hand unhelpfully. The mother runs out to where she can be seen by others further down the hall, putting her hands over her face and apparently calling out for help. The dad then sprints off toward the other people while the mother continues to tug at the door handle, before running after him a short time later. In the distance the mom can be seen waving a hand in the air, as though to gather up other people. 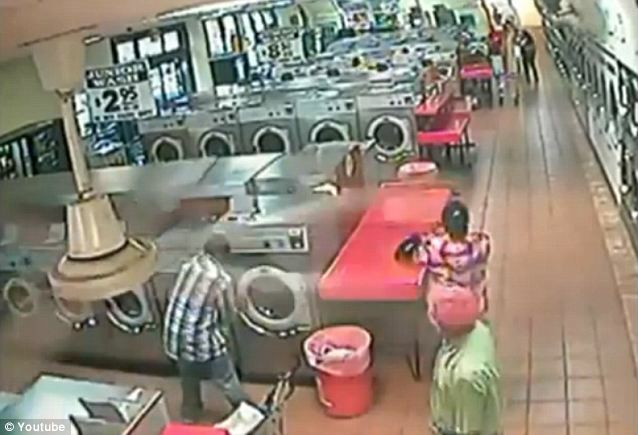 She charges back to her machine and baby, followed by the dad and some other Laundromat users. One quick thinking man yanks a red sorting table away from the back of the machine and tries to disable it from the mains, knocking over a rubbish bin in his haste. 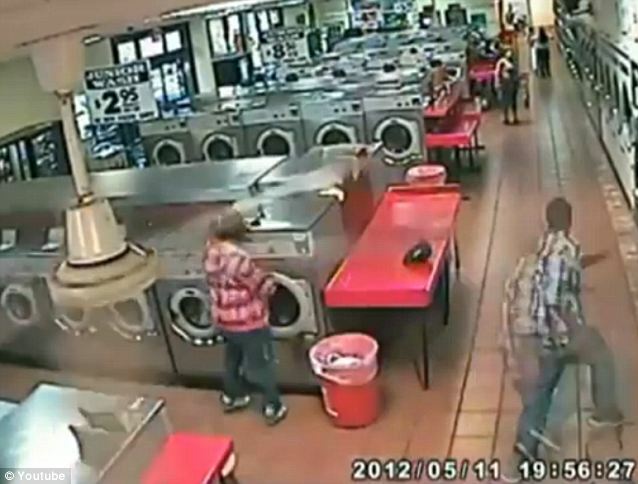 Another woman ambles over with her own children, holding out a white towel. A crowd gathers to watch the commotion and the man begins jumping up and down. 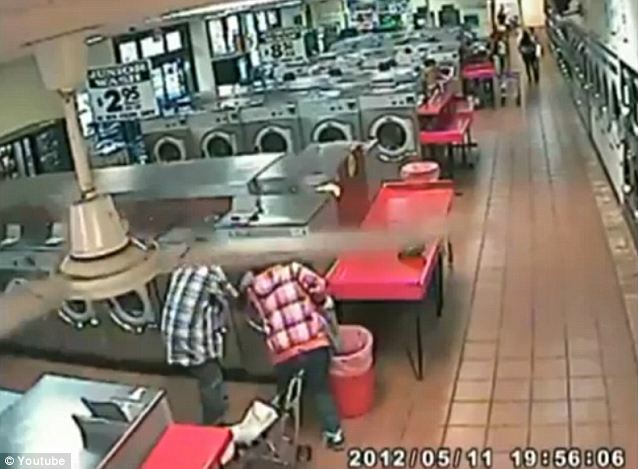 There is no sound on the video but his actions paint a picture of utter panic. The couple’s shared horror turns to anger at one another, with the woman walking to the table and slamming her hands down onto it in frustration. Eventually the drum is opened and the boy is pulled out by his father who rushes off out of shot holding him, the mother trailing behind. The woman holding the towel flaps it frustratedly as though annoyed not to have had more involvement in the drama. 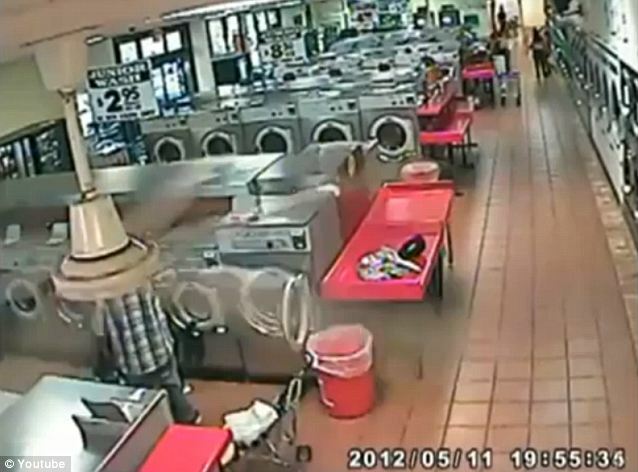 The video was posted on YouTube by a user identified as PrincessZebra, who reports that the child is safe and well, having endured minor injuries. It has received more than 26,000 hits.